Arkadiusz Tofil – Associate Professor PhD hab. - Since 1 September 2016 r. Rector of the PWSZ in Chelm. 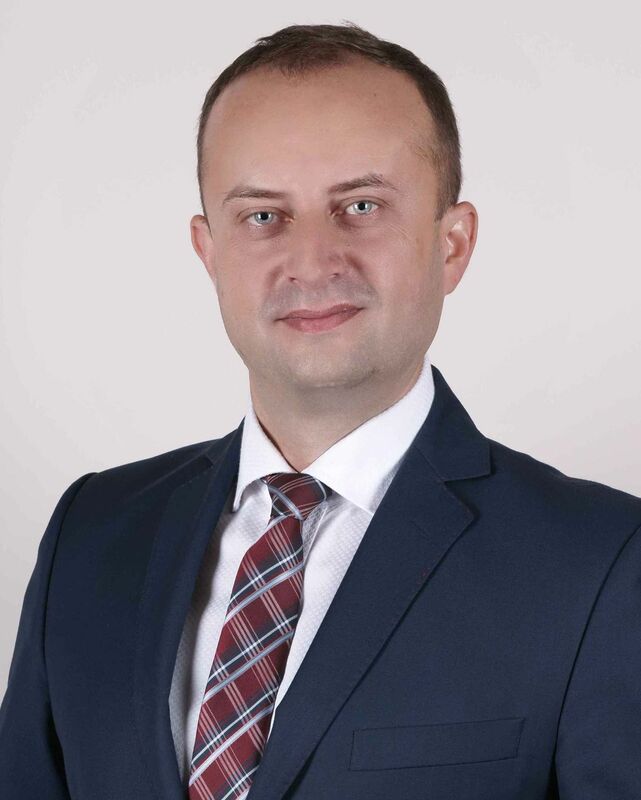 From 2008 to 2016 vice-rector for the development and international cooperation, graduate of the faculty of Mechanical Engineering at the Lublin University of Technologies. In 2008 he defended with honors his thesis of dissertation, entitled ‘Research of process of mechanical splitting without waste of round metal bars’ written under supervision of prof. dr hab. inż. Zbigniewa Patera. In the years 2002-2008 assistant at the Institute of Technical Sciences. Since October 2008 assistant professor in the Department of Computer Modeling and Metal Forming Technologies at the Lublin University of Technologies. Author or co-author of 45 publications and 5 patents. Research and scientific work is performed in the range of subjects related to the issues forming of metals, mainly technology of cross-wedge rolling and forging processes. He conducts lectures and classes relating to plastic processing of metals, engineering mechanics and graphics. 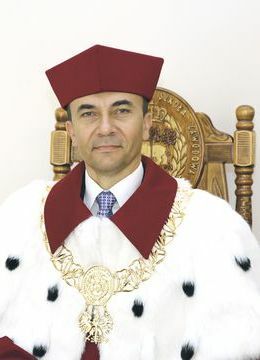 He was awarded the prize of the Minister of Science and Higher Education for organizational achievements of 2nd degree, Bronze Cross of Merit, repeatedly received the Rector of the PWSZ in Chelm awards for organizational activities to the benefit of the university and awards of Lublin University of Technology Rector for achievements in scientific activity. 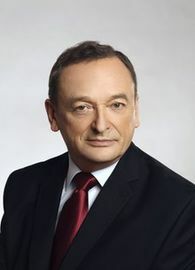 Józef Zając - Senator of the Republic of Poland of the VIII and IX term, rector of the State School of Higher Education in Chełm (PWSZ) in 2001-2016, habilitated doctor., professor of the Catholic University in Lublin, assistant professor of the University in Joensuu – Finland. Since 2016 vice-rector for students’ affairs of the PWSZ in Chełm. From 1973 to 1996 employee of Institute of Mathematics of the Polish Academy of Sciences, where he received doctoral and postdoctoral title. Specialist with a range of uses of complex analysis and mathematical economics. An organizer of scientific conferences at national and international levels, including the Chairman of the Organizing Committee - Conference on Analytic Functions and Related Topics. Editor of several post-conference publications, author of over 110 scientific papers published in reviewed national and international journals, including two books on navigation and aviation phraseology and one in the field of higher education organization. Participant of cooperation with research centers in Finland, Israel, Japan, Mexico, Germany, Ukraine and the USA. Lecturer at the University of Joenuu, CUNY, Columbia University, Metropolitan University, and Nationale Politechnico in Mexico, etc. Reviewer of the Ministry of Education school textbooks in mathematics and ‘Mathematical Reviews.’ For his socio-organizational work he was awarded among others ‘Order of Polonia Restituta’ (2011), ‘Gold Cross of Merit’ (2000). In 2005 he was awarded the title "Man of the Year of Lublin Province," in 2011 he was "Chełm citizen of 2010," and in 2015 he was awarded an Honorary Medal "Merit for the Lublin province." In 2015, for supporting the work of frontiersmen, popularizing historical knowledge of Volyn and strengthening the ethos of the Home Army, he was honored with a commemorative badge "Cross of Volyn Defenders 1939-1944". In April 2014, the Council of Scholars of the Lesya Ukrainka East University in Lutsk gave him the dignity of Doctor Honoris Causa of the university. In October 2015 he received the title of Doctor Honoris Causa of the National University of Water Management and Natural Resource in Rivne. For his work support of Polish-Ukrainian agreement he was awarded the order of Holy Equal of the Apostles Mary Magdalene second degree. Lecturer in mathematical and economic subjects, which he conducts both in Polish and English. Promoter of two doctoral dissertations in mathematics, which took place at the Institute of Mathematics of Polish Academy of Sciences and at the University of Lodz, and two doctoral dissertations in economics, conducted at the Catholic University of Lublin. Initiator of creation of PWSZ in Chelm (2001) and organizer of the mathematics and informatics studies at the Catholic University of Lublin (1996). Positions held: Dean of the Faculty of Economics and Management at Polonia University (1998-2001), head of the Department of Applied Mathematics in Economics at the Institute of Economics of the Catholic University in Lublin (since 1997), Rector of PWSZ in Chelm (2001-2016) and Vice Rector for students’ affairs of PWSZ in Chelm ( from 2016). Member of the Foundation for the Disabled and in Need of Help ‘Let Us Open Our Hearts.’ Activist for the Polish-Ukrainian dialogue within the Foundation of Polish Partnership and Cooperation. Member of the Conference of Rectors of the Public Vocational Schools and member of the Joint Program Committee of the Lublin Provincial Headquarters of Voluntary Labor Corps and the European Center of the Voluntary Labor Corps. Hobby - piloting of gliders and airplanes, economics, economic history of Polish and Ukrainian, beekeeping and hunting. Member of Hunting Club "Dubelt" in Chelm and Hunting Club "Zaborze" in Annopol. 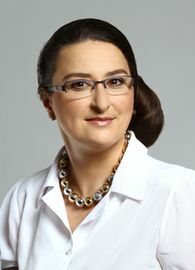 Beata Fałda - PhD, graduate of the Institute of Economics of the Catholic University in Lublin, where in 1998 she obtained a Master’s degree for the thesis ‘Expenditure on Education in budgets of municipalities in the years 1992 – 1996. A comparative analysis,’ written under supervision of prof. dr hab. Zyta Gilowska. In 2003 she received a doctoral degree in economics based on dissertation thesis ‘ Dynamic Modeling of economic processes,’ written under supervision of prof. dr hab. Józef Zając. In the years 1998-2004 assistant, and since 2005 assistant professor in the Department of Applied Mathematics, Institute of Economics and Management of John Paul II Catholic University in Lublin. Since 2001 academic teacher of the State School of Higher Education in Chełm. Since 2003 to 2016 , vice-rector for students’ affairs in the State School of Higher Education in Chełm and since 2016 vice-rector for its development. She conducts lectures and classes relating to the application of mathematics in economy, among others: mathematical economics, actuarial science, prediction and stimulation. Her research interest focus on issues related to the Mathematical economics and the Econometrics. The author of several publications on the applications of mathematics in economy, transport economics, and issues of higher education including three monographs and three textbooks. Co-organizer of national and international scientific conferences, including the ‘Conference on Analytic Functions and Related Topics,’ and a series of international conferences in mathematics and informatics. Editor of ‘Scientific Bulletin of Chelm’ and other monographs. She actively cooperates with researchers from Finland, Japan, Mexico, and Ukraine. For her scientific and teaching activity. For her research and teaching , and organizational activities she was awarded, among others, Bronze Cross of Merit and the Medal of the National Education Commission.